These little beauts are from a local cupcake only bakery limited to our region. They had a Groupon not too long ago, so I bought it. 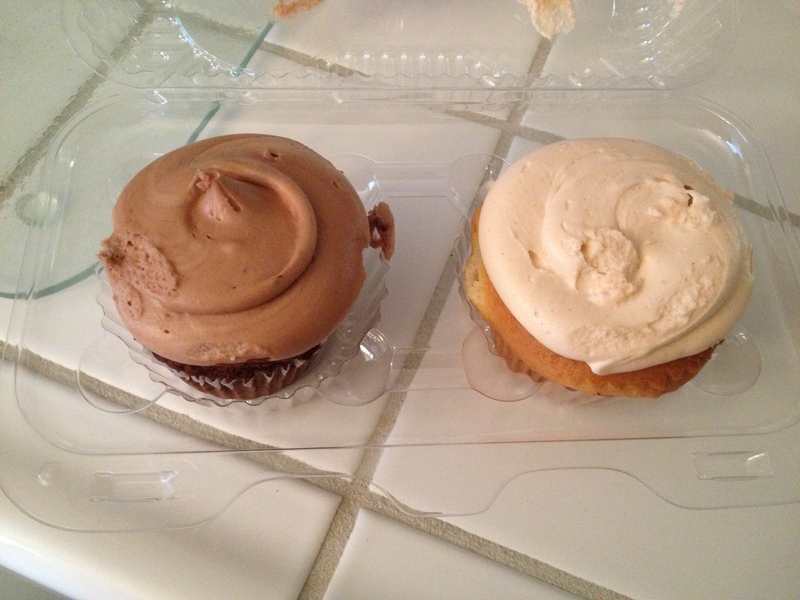 I know… why is the diabetic buying cupcake Groupons??? As much as I enjoy baking, I don’t always have time for it. Especially elaborate masterpieces like they create. It was going to expire soon and I was in the vicinity, and I have a slew of young sorority sisters that I’m paying a visit tomorrow. Why not. Stupid carbs…even “non-sugar” carbs (aka. sugar alcohols)…they affect blood sugar I understand. Grrr. Keep up the good work, regardless!